5 Cheapest Times of the Year to Take a Cruise | UNIGLOBE Direct Travel Ltd. Wondering when to book that next cruise? Cruise Fares go up and down, it can be tough to decipher the best time to set sail. 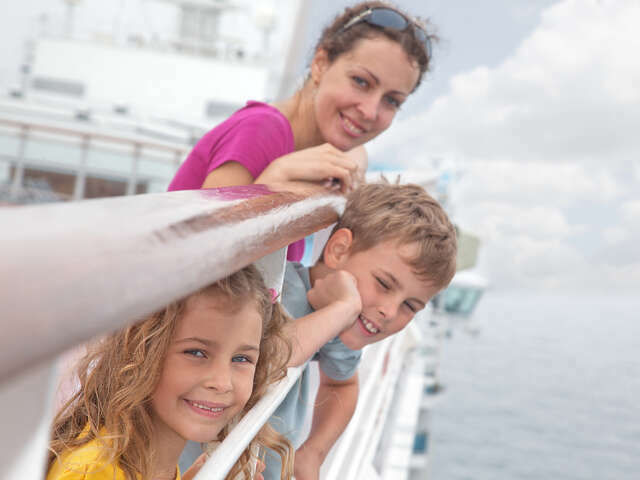 Here are some tips to help you narrow down the best time go say "bon voyage". There is no guarantee as to why cruise fares to fluctuate, but here are some insider tricks that may help you snag a deal on your next cruise. 2nd week of January through early February – Great rates can often be found right after the extremely popular Christmas rush right through the New Year’s Eve season. Last week of February – Prices are often higher for Valentine’s Day week, who doesn’t want sail the high seas with their love? However, prices tend to drop after Valentine’s Day until Spring Break, so take that special person in your life a week or two later to save a few bucks. Early May – Wait until after Spring Break is done with, as this chaotic time is known for causing fare hikes. Once Spring Break vacationers have finished travelling we tend to be a slight lull in early May before kids get out of school again. Once Victoria Day comes around, prices often go up again. September after Labor Day – The kids are back in school and hurricane season in full swing, great rates can often be found from the week after Labor Day through October. Of course be sure to inquire about hurricane policies. During the first two weeks of December – Sandwiched between the popular cruise weeks of American Thanksgiving and Christmas, the first two weeks of December will often have great rates. What causes prices to change from week to week? It can be tough to say, but it comes down to supply and demand. While some weeks (especially Christmas) are notorious for having high rates due to an increase in demand, the following weeks are generally the cheapest times to take a cruise. It is worth noting that any week can have high prices if a specific sailing is selling well, even if it is during a week listed above. Give us a call to quote your next cruise and we’d be happy to search for a fare that suite your budget.